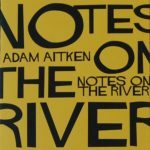 Adam Aitken is a poet and non-fiction writer who was born in London and now lives in Sydney. He spent his early childhood in Thailand and Malaysia, before settling in Sydney. He is the author of five collections of poetry, most recently Archipelago from Vagabond Press. He was Distinguished Visiting Professor at the University of Hawaii, and Poet in Residence at the Keesing Studio in Paris. He co-edited Contemporary Asian Australian Poets (Puncher & Wattmann) in 2013. His memoir One Hundred Letters Home (Vagabond Press) was published in 2016. He has studied French at the Alliance Française in Paris and Sydney. Books: In 2001, his third collection Romeo and Juliet in Subtitles, was shortlisted for the South Australian Literary Festival Award. His fourth collection, Eighth Habitation, was published by Giramondo Press in April 2009. 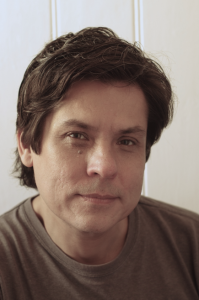 His writing shows a deep interest in contemporary cultural issues, especially issues of identity and cultural hybridity. Adam’s work has been translated into French, Swedish, German, Polish, Malay and Mandarin, and is published internationally, most notably in Poetry Magazine.